Dreaming of the perfect garland for your lady bug party theme? Well search no more! 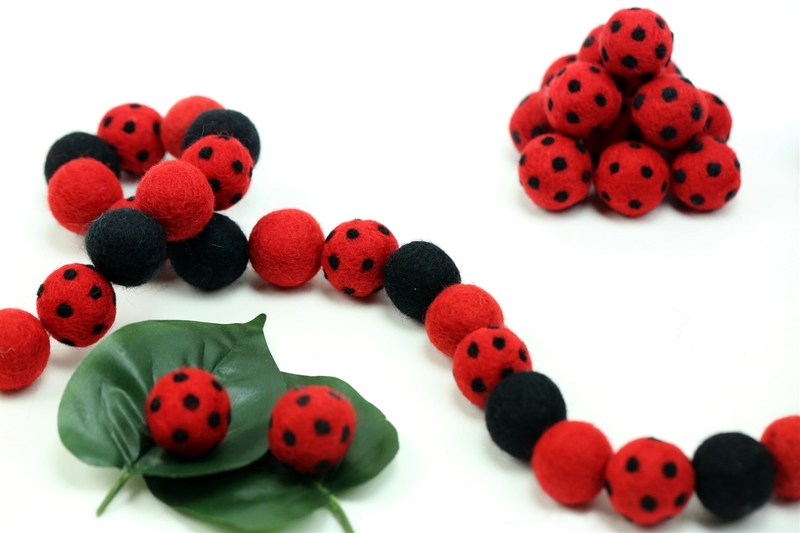 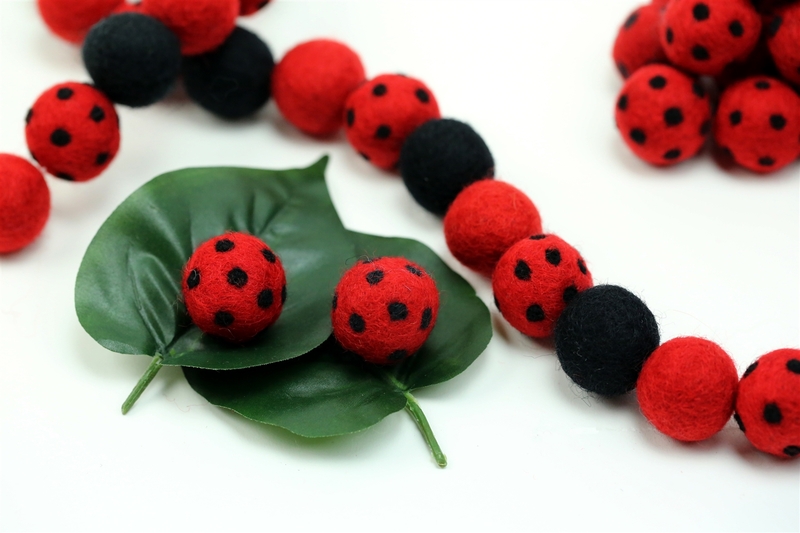 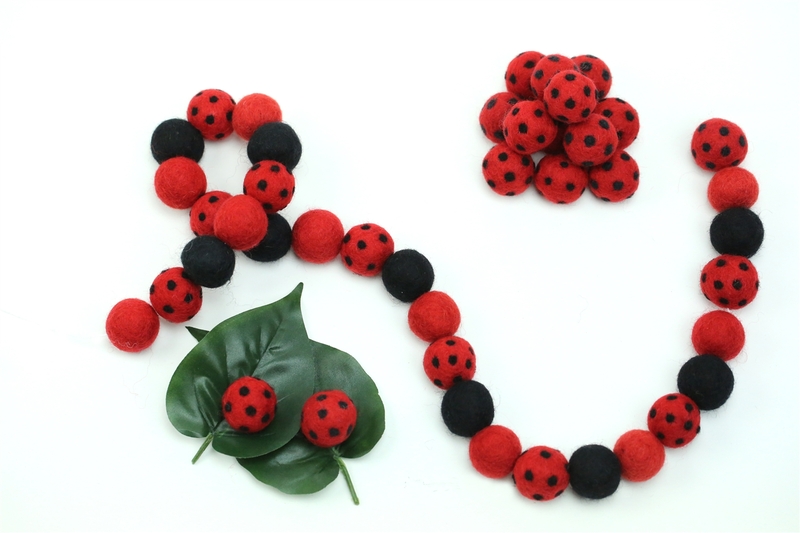 These "lady bug" felt balls were designed by us and made just to our specificiation. The black polka dots on these balls are smaller than the polka dots on all our other listings so that you can get that spotted lady bug look! 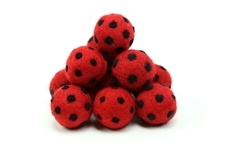 These are the perfect addition to your party decor.